Relax, you probably don’t need to upgrade just yet. 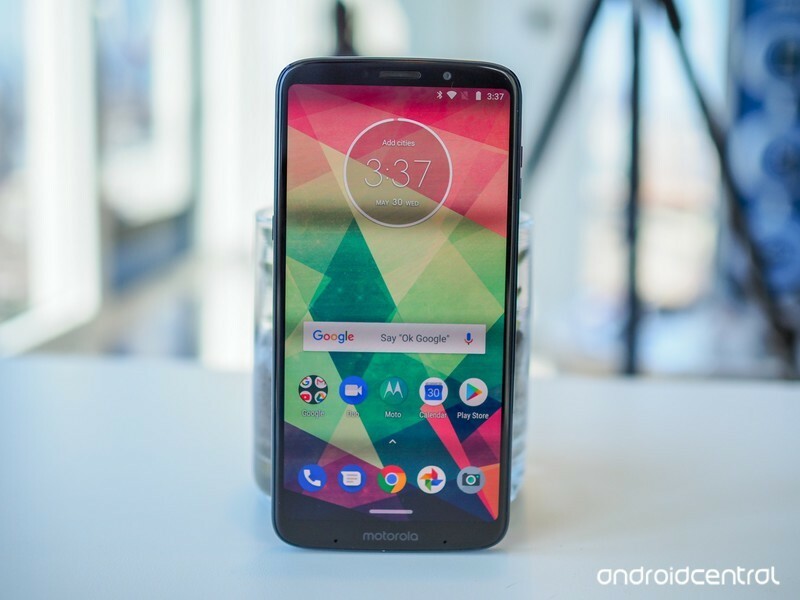 Earlier this month, Motorola refreshed its endurance-focused Z Play series with the Moto Z3 Play. While it’s more a mid-range device than a true flagship for the company (that title is likely reserved for the Moto Z3 or Moto Z3 Force), the Z3 Play brings some much-needed modernization to the design language we’ve seen for the last three years. Last year’s Moto Z2 Play is still a great option, though. It still offers full Moto Mod support, a razor-thin design, and a cheaper price tag. So which phone is right for you? Motorola’s commitment to its Moto Mod ecosystem, while certainly commendable, creates a bit of an issue with regards to the company’s general design language for its Z series phones. In order to support new devices as well as the old, Motorola can’t do much to change the physical dimensions of its phones, aside from thickness. The Moto Z3 Play is actually a bit thicker than last year’s model, but it still comes in incredibly thin at just 6.75mm. But just because Motorola can’t change the shape of its phones, doesn’t mean it can’t change anything. Around the front, the Z3 Play features a 6-inch 18:9 display, up half an inch from last year. To make room for that larger display, the fingerprint sensor has been moved from the front to the righthand side, along the phone’s aluminum frame. This is a much cleaner, more modern look than last year, but not everyone will be crazy about the side-mounted fingerprint sensor — or the power button’s repositioning on the lefthand side. Inside, the Moto Z3 Play actually has the same 3000mAh battery as last year’s model, though the newer Snapdragon 636 processor is more power-efficient and should lead to as much as 30% better performance. You also gain an extra gigabyte of RAM over the Z2 Play — up now to 4GB. The Z3 Play runs Android 8.1 Oreo, and features the popular Moto Actions that allow you to quickly launch the camera or flashlight through gestures, as well as Moto Display for ambient notifications. There’s also a new (optional) way to navigate the phone, similar to Android P’s navigation pill. 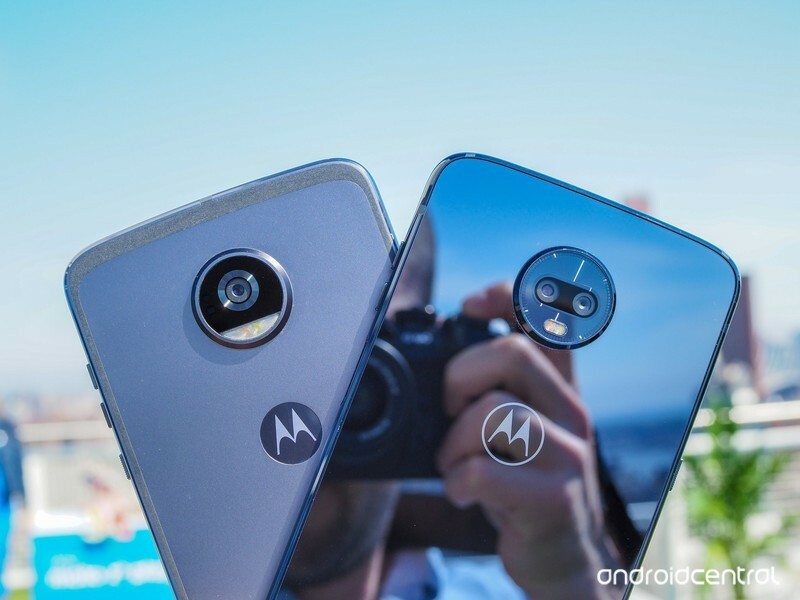 The cameras have gotten a bit of an upgrade as well, with the Moto Z3 Play being the first phone of the series with dual cameras. The secondary camera is used for measuring depth to aid in portrait mode shots, and Motorola’s camera app comes with a bevy of new features including built-in Google Lens support and cinemagraph capture. A tall display isn’t everything. The Moto Z2 Play still looks great, with almost exactly the same design around back as the newer Z3 Play — though it still has an aluminum back, rather than the Z3 Play’s more fragile glass. It also has arguably a more accessible layout; the fingerprint sensor is easy to reach up front beneath the display, and the power button is in line with the volume controls along the righthand side. The Moto Z2 Play also retains a headphone jack — something the Z3 Play eliminated, despite being thicker. The Moto Z2 Play also still works with any Moto Mod, new or old. 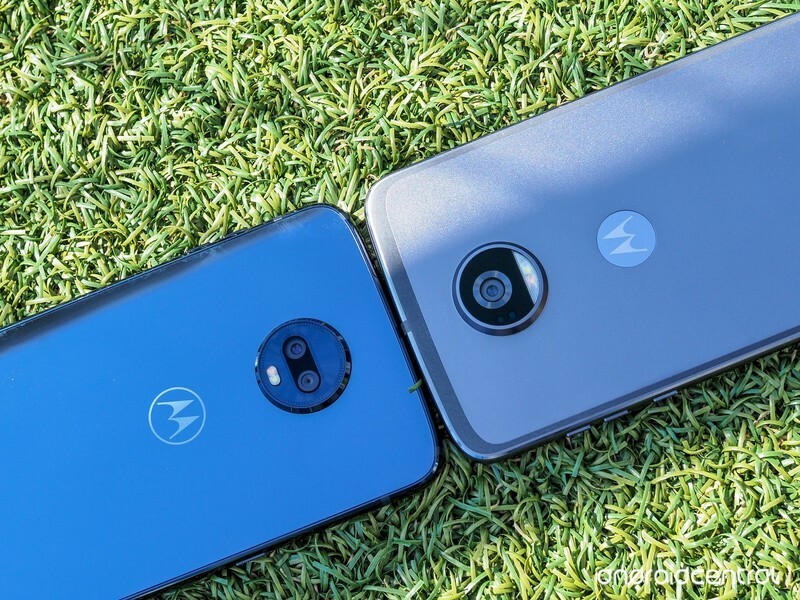 This has been Motorola’s promise from day one, and it’s great to see them actually follow through. If you want better battery life, better speakers, or even new features like a pico projector, wireless charging, or Amazon Alexa, all you need to do is snap on a Mod accessory — no fussing with Bluetooth or wires. There’s not much to be jealous of internally, either. The Z3 Play’s Snapdragon 636 is newer and more power-efficient, sure, but the Snapdragon 626 is no slouch, and it keeps the Z2 Play running smoothly and, more importantly, running all day. The 3000mAh battery inside is plenty, given the phone’s 1080p display and clean software. You won’t get Android 8.0 Oreo on the Z2 Play (at least not yet), but you still get Motorola’s suite of Moto Display, Moto Actions, and more. If you already have the Moto Z2 Play, there’s little reason to upgrade to the Z3 Play. Its dual cameras are still unproven, but in our early testing, portrait mode doesn’t seem to benefit much from the additional camera. Furthermore, with continued Moto Mod support, most of the Moto Z3 Play’s benefits like the more efficient processor can be offset by simply adding an extended battery. The Moto Z2 Play is also significantly cheaper than the Z3 Play, available on Amazon for as little as $360. That $140 difference in price could go towards a Moto Mod or two, further augmenting your Z2 Play to be a better device. Unless you really want an 18:9 display or Android 8.1, you’re better off keeping your Moto Z2 Play for the time being. 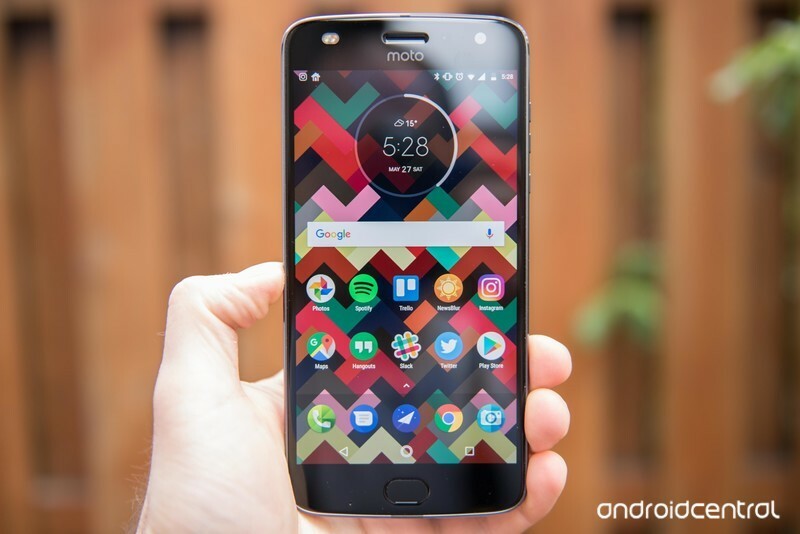 Have you been using a Moto Z2 Play? Are you looking to upgrade to the Z3 Play, or are you sticking with what you have? Let us know in the comments! ← Should you wall mount your PlayStation 4?